The next Asian stop for players to try and land themselves a coveted PokerStars Players NL Hold’em Championship Platinum Pass was Korea with the Asia Pacific Poker Tour (APPT) Korea ongoing at Paradise City, Incheon. The festival began on April 6 and will run through April 15. As of today, two passes have already been claimed with the first one awarded to Chile’s Diego Palma for his triumph at the APPT Kickoff. The second pass went to Japan’s Yuki Ko for his victory at the APPT National. Ko not only zoned in on the coveted ticket to the Bahamas, but he also took down the Single Day High Rollers on the same day. We have all that below along with an update on China’s Xing Biao Zhu and his steady collection of payouts. Ko was awarded the ₩33,835,000 (US$31,600) and the PokerStars Players NL Hold’em Championship Platinum Pass worth US$30,000. The APPT National drew in 226 entries and with each entry at ₩700,000, this drove the prize pool north to ₩138,108,600 (US$128,800). Among the notables in the money were Simon Burns (3rd), Pete Yen Han Chen (4th), Victor Chong (11th), Fu Bang Huang (23rd), and Daniel Tang (24th). After the APPT National victory dance, Ko rode on his high and immediately ponied up the ₩4,000,000 Single Day High Rollers buy-in. With such a steep entry fee, this tightened up the field to just 62 entries. Taehoon Han also joined in however this time he wasn’t able to match up with Ko. Han was eliminated before the money round while Ko rose to the top once again defeating China’s Wenling Gao for the title. Gao wasn’t the only player Ko had to overcome at the final table, other notables in lineup and in the money were Linh Tran (3rd) and Bryan Huang (7th). Ko shipped in a hefty cash purse of ₩66,400,000. Last month, Chilean player Diego Palma posted his first-ever live tournament cash at the APPT Macau Main Event with a 40th finish. Though this was far from the coveted Platinum Pass, he did lead at the end of Day 1A showing he had the guns to go far in the game. One week ago, Palma proved just that. Taking a stab at APPT Korea, he powered through the 377 entry field of the APPT Kickoff event posting his first-ever victory and second-ever live score. He captured a large ₩21,110,000 (US$19,900) plus the coveted package to the Bahamas. Impressively, Palma nearly seized a second title finishing 2nd at the Pot Limit Omaha event falling short one spot to Hong Kong pro Raiden Kan. The mission continues for China’s Xing Biao Zhu, the current front runner for the highest number of cashes this year. Zhu picked up another four payouts at the APPT Korea festival finishing 15th at the kickoff, 1st at the No Limit Hold’em, 7th at the Knockout event, and 2nd at the NLH Turbo. This brings him up to an astonishing 31 cashes for the year along with three trophies. There are still three days left before the festival wraps up which gives him plenty of time to add in a couple more. The APPT Korea Main Event is up next. 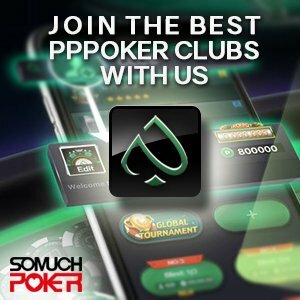 We will have those results for you once it concludes so stay tuned for more news at Somuchpoker.com.